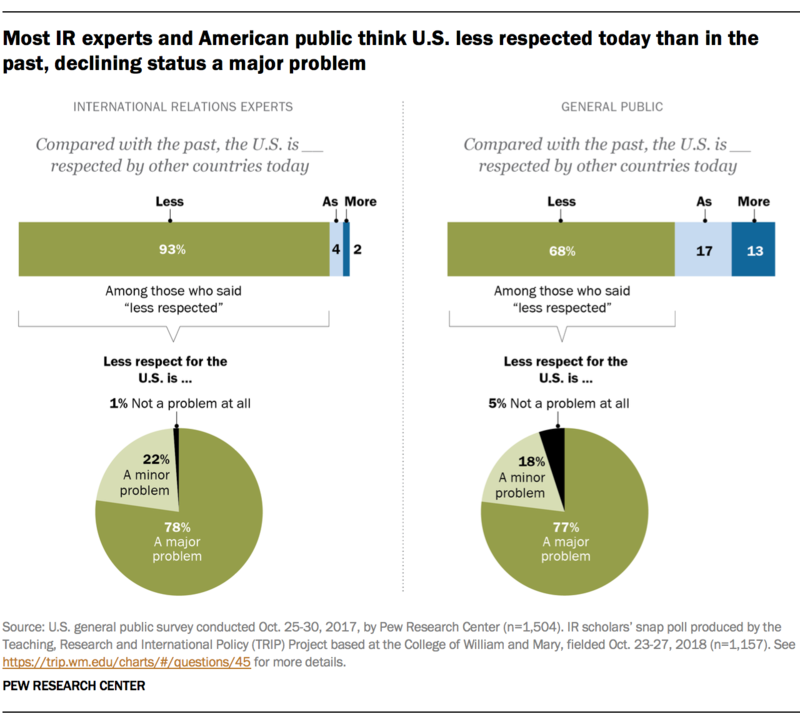 In both groups of survey respondents – the IR experts and the overall public – around three-quarters of those who say the U.S. is less respected believe this is a major problem, while about one-in-five in each group (22% and 18%, respectively) say it is a minor problem. 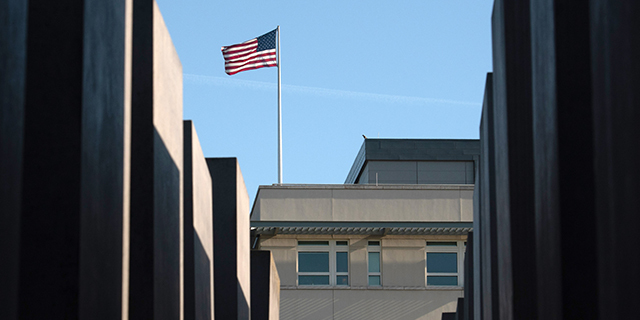 Among the IR experts, about eight-in-ten (82%) self-described adherents to the realist school of IR theory – which stresses constant competition between states in pursuit of power – believe the U.S. is less respected than in the past, compared with 18% of realists who say there is as much or more respect for America abroad. Meanwhile, about 95% or more of those who subscribe to constructivism or liberalism – which focus less on power politics in favor of shared ideas or mutual international cooperation – and those who identify with no particular school of IR thought think the U.S. is less respected. 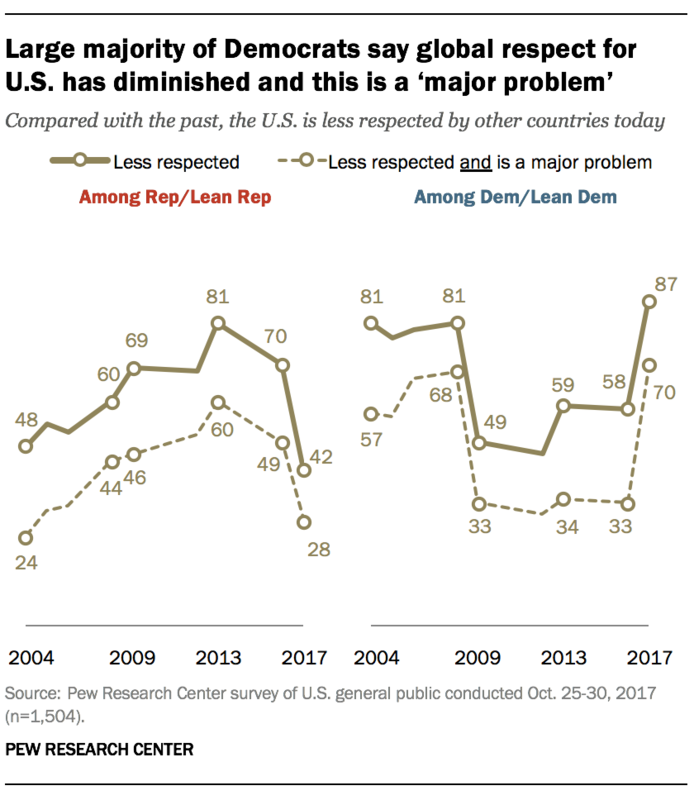 In many ways, recent public sentiment about whether the U.S. is less respected around the world looks similar to 2004, when President George W. Bush was dealing with the aftereffects of the 2003 invasion of Iraq. Back then, the partisan gap on this question was 33 percentage points, compared with 45 points today.